This quirky style is simple and clean and is directly linked by the typeface and leaf with the splendid look of William Morris and company. 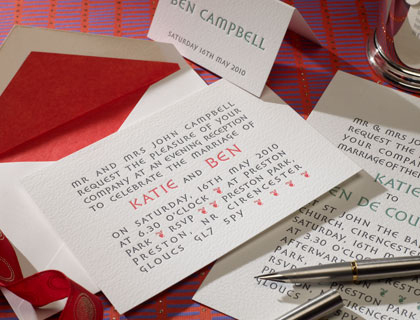 The standard wedding invitation is printed letterpress in slate and terra red ink, sophia font, on 7″ x 5″ High White Impression single card (portrait), supplied with matching wove envelopes (unlined). 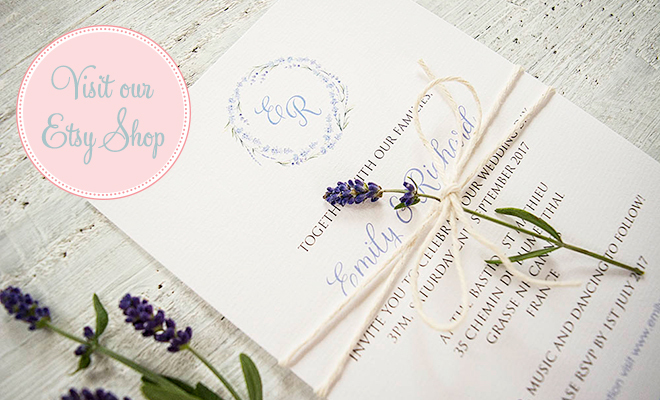 The invitation can be adapted to your preferred style and you have the option to alter: size, ink colour, print style and font, plate sinking, card type, gilt edging, lined envelopes, add motif or artwork to the design.